Some years ago we took a trip to Colonial Williamsburg, Va. I have always loved colonial architecture and decorations. We got to tour the homes and enjoy the gardens and decorating style . I love the Christmas decorations from Williamsburg. What appeals to me most about them is they are natural: fresh greens, pinecones, berries and fruit. 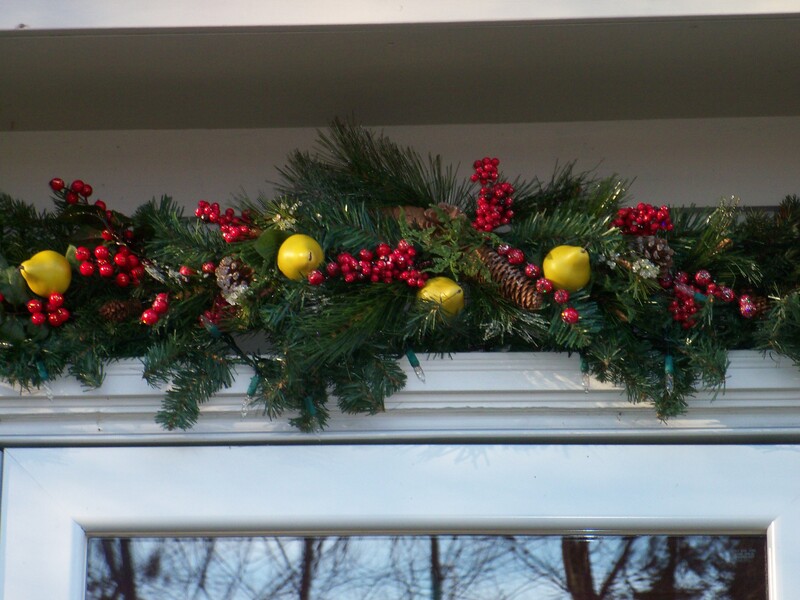 No gaudy pink or silver sprayed branches or tinsel in the arrangements….,just natural classic elements . I think it represents a time when the holidays had more meaning not so glitzy and commercialized. 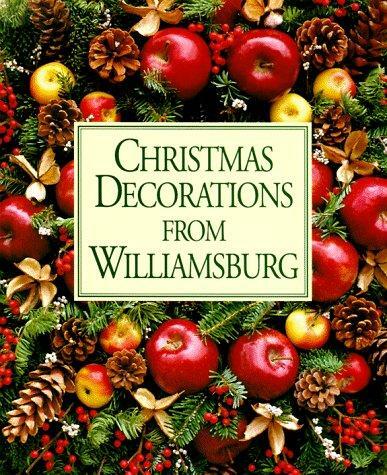 Two books I bought and reference are: “Christmas Decorations from Williamsburg” and “Williamsburg Christmas” both sponsored by The Colonial Williamsburg Foundation. 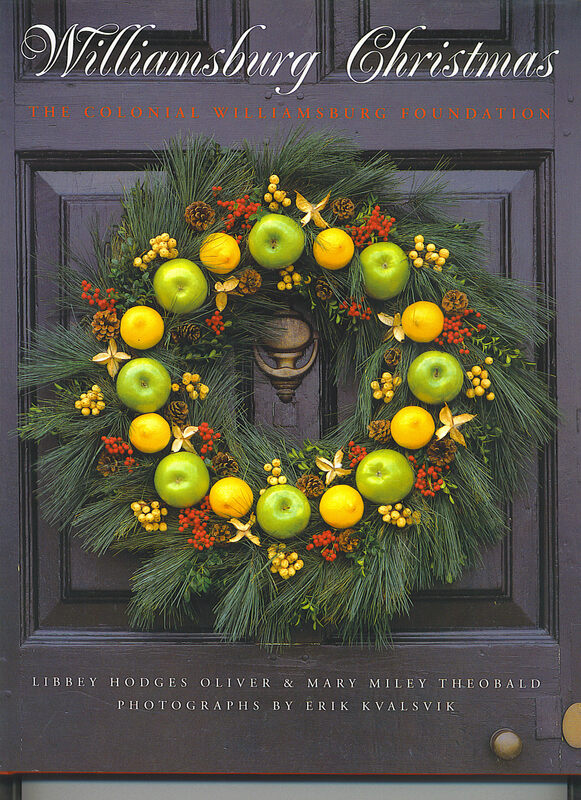 In New England we really can’t use real fruit because the freezing and thawing would make it turn brown and rot ,so I used artificial pears and berries mixed in with artificial greens and pinecones to create the look. I chose to use artificial greens which allows me to save money by the abilily to reuse them year after year.To enjoy the fresh evergreen smell I buy fresh greens for an indoor arrangement. 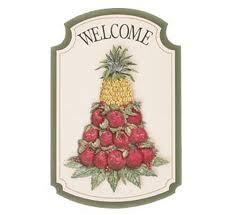 My next project is to create a cone arrangement with apples and a pineapple ( the symbol of hospitality) a Williamsburg tradition. ← Don’t you just love a bargain?